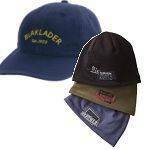 Blaklader has set the standard for functional workwear. And they've been doing it since 1959. They create work wear that enhances the work experience. Work clothes that do more than just provide protection from the elements. Construction Clothing that puts in a hard days work - just like you. Comfort and performance on the job. Load up with all the tools you need. There's a pocket for everything. Reach for it and get it fast. Kneel all day long in comfort. 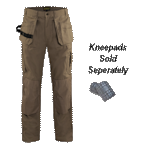 Strategically placed kneepad pockets free you from clumsy external devices. Pull, tug, bend and reach. Cordura reinforcements and triple stitched seams so nothing is going to rip or tear while providing exceptional durability. Berne Workwear started in 1915 in the small Indiana community of Berne as The Berne Overall & Shirt Company. 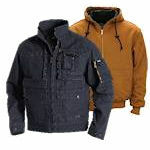 Their goal was to provide the mid-western farmer with quality, rugged workwear that was affordable as well as durable. They accomplished that with an old fashioned work ethic and pride that could only be found in America. To keep up with the growing work wear market, Berne Apparel moved just 60 miles north to New Haven, Indiana, where they continue their tradition of quality, durable, and affordable work wear. Today, Berne offers an incredible assortment of work clothes for men, women and youth. 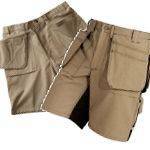 Their clothing is known in the industry for their rugged quality and exceptional value. Walls work clothing has many uses in the workplace and the sporting field, but only one true goal - to manufacture and sell the finest utility work clothes on the market for those who need and understand the virtues of quality workwear. In our view, Walls work clothes are’ “wearable tools” that are as critical to our customer’s success as the tools they carry. Since George Walls began manufacturing his trademark one-piece coverall in the mid 1900s, Walls workwear has been dedicated to creating work clothes that deliver true working performance. Every detail in Walls work wear from the fabric to the construction is designed to benefit the user, whether in the work place or in the field. From the ranch, to the oil field, to the duck blind, Walls’ clothing is created by people that truly understand the working environment and believe in what they’re doing. That’s the foundation of the Walls culture. We have heavy duty canvas jackets, hooded jackets, work coats, bomber jackets and more!! 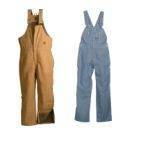 From quality work clothing manufacturers like Blaklader, Berne workwear, Walls work clothes. A substantial selection of T-shirts, polo shirts, long-sleeved button downs, logger shirts, sweatshirts, and hi-vis safety wear. Brands like Dickies and Walls work clothes. We carry a wide selection of work wear in high visibility clothing from Tingley and Blaklader workwear. When summer time is here all you need is work shorts and a T-shirt. It's time to ditch the pants and heavy workwear. Get your rainwear here. We have rain jackets, coats, rainsuits and more. When you need wet weather workwear this is your source for raingear. We have a wide selection of work boots, shoes and footwear. 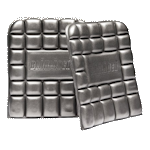 Choose steel toe boots, waterproof work boots in leather or rubber, safety shoes and more. We have all your work wear needs. You work hard and need protection from the possibilities of flames on the jobsite. 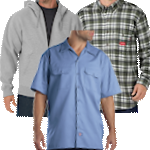 We've got you covered with FR Clothing from Tingley, Walls, Dickies and Blaklader work clothes. Blaklader has set the standard for functional workwear. And they've been doing it since 1959. They create work wear that enhances the work experience. Work clothes that do more than just provide protection from the elements.